I have always had this lovely idea to start growing natural dreadlocks, but it was a huge step. I was not sure if I was ready to change my life that drastically. I spent many days pondering this decision, wondering if I truly wanted to and asking others for their helpful opinions. Some people said that I could really pull it off because I had the natural personality for it, but a couple people told me it was a bad idea. I researched them, read books about them, joined a beautiful dreadlocks site, and got a lot of input from people who had dreadlocks. I thought about growing natural dreadlocks for almost two years before I finally came to a conclusion. I was going to grow natural dreadlocks. One of the reasons I decided to grow natural dreadlocks is because of the spiritual vibe they give off. 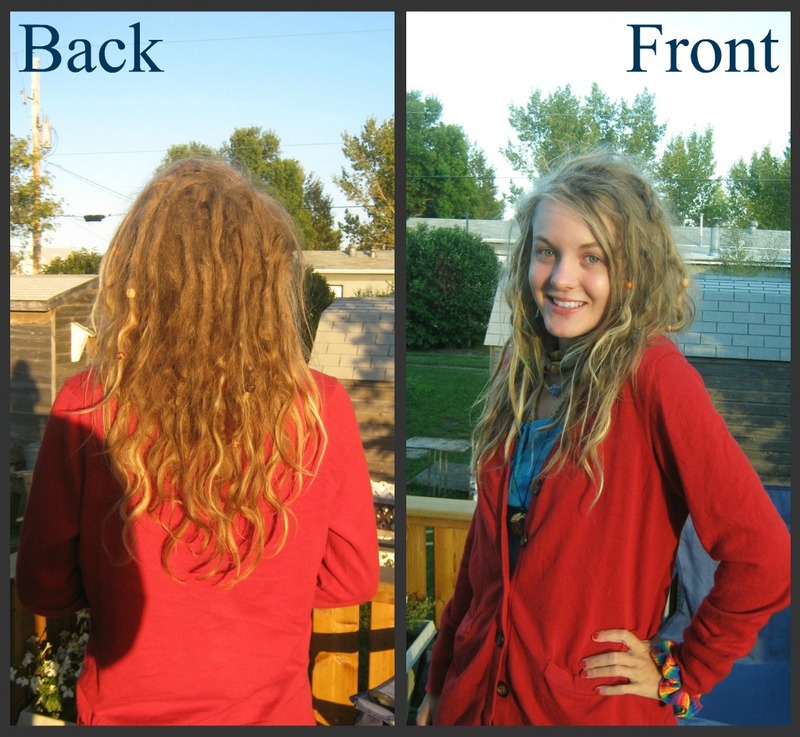 People may not know this, but dreadlocks can be worn by anyone. Goin through this spiritual journey is changing my life. I understand that some people may think I’m growing dreadlocks as a fashion, rebellious, or political statement. The truth is, I’m not. It would be meaningless for anyone to grow dreadlocks for those reasons. I also understand that others may think less of me: think I’m dirty, a lowlife, or even do drugs. It doesn’t bother me. They can think what they want because I’m more than happy with who I am and that is all that matters. The main reason I decided to grow natural dreadlocks is because I want to become one with nature. I feel as if my body is the tree and my growing dreadlocks are the roots of the earth. Nature makes me completely happy. That is why I’m letting my hair do what it naturally wants. It’s amazing to watch my locks form into their own unique shapes. Almost every day I have someone ask me how I grow natural locks and I can’t help but laugh. I really don’t know how to explain naturalism. It’s something that you feel. Being natural isn’t something I take for granted. Nor is it something I regret or am ashamed of. Nature has always been a part of who I am, and I’m finally showing that through my appearance. Doing this is the best thing I’ve ever done for myself. I’ve pushed my way through life trying to please everyone else before me, forgetting that I need to be happy too. I feel better about myself and I have never been happier with just being me. They’re much more than just a hair style to me; they have become my universe. I don’t see myself ever getting rid of my dreadlocks. I could never get rid of something that brought so much positivity to my life. They’re with me forever. My my, little lady, I absolutely love your blog. We may very possibly be soul sisters. Nature is the foundation of my life, the stones in my river, if you will. I adore your view of your dreads, and I share them to the fullest extent. I’m just beginning my organic locks, and couldn’t be more enthusiastic. My dear mother has passed off every deep rooted hippie thought of her mind into mine, and the stream of those thoughts flood my mind. Your metaphor for your body is simply divine; the tree being your physical self, and locks as your roots. I would love to strike up a conversation with you, my dear. Feel free to email me any time. I would love some advice for my fresh dread-head. Oh thank you! That’s really cool that you put it in your rss reader! Thank you again! Aww thank you very much And of course you have a choice, but i would love it if you did stop by again! You’re thanking me? Thank you! I love to write. I’m just glad you and others are enjoying it. I’m glad i inspired you! You’ll do great! I love your blog, and this article especially! I will be starting my dreads in a few weeks, I am even more excited after reading this! By the way, do you have a page on Facebook too?